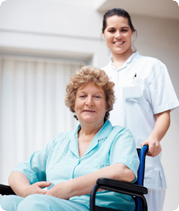 At A-1 Home Care, we understand that incontinence is one of the leading causes of caregiver burnout and we want you to know that we provide the most dedicated, compassionate, and experienced Incontinence caregivers and nurse aides in Orange County. Our caregivers are able to assist with all types of incontinence, including urge, stress, overflow, and functional incontinence that affects either bladder or bowel control. We can assist with bladder training or retraining, toilet assistance, teaching your loved one about pelvic muscle exercise, and preparing healthy meals for your loved one. 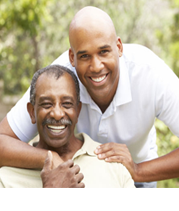 We can also assist with daily household duties and providing loving personal care and companionship. A-1 Home Care offers 24 hour live-in care or hourly part-time care in the communities of Costa Mesa, Irvine, Newport Beach, Corona Del Mar, Westminster, Huntington Beach, Seal Beach, Los Alamitos, and others in Orange County and Los Angeles County. Our non-medical caregiver placement agency has been in business since 1991 with an A+ Rating from the Better Business Bureau and Shield Accreditation. We offer additional Elder Care services such as Alzheimer’s Care, Parkinson’s Care, Diabetic Care, Arthritis Care, Cancer Care, and Hospice Care. If your loved one carries long term insurance, we accept, Penn Treaty, John Hancock, Bankers’ Life & Casualty, Veteran Administration, CALPERS, and MetLife Insurance. 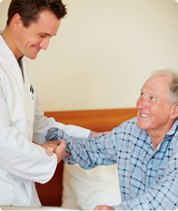 To hire a compassionate and dedicated Incontinence caregiver today, CALL us at 949-650-3800.